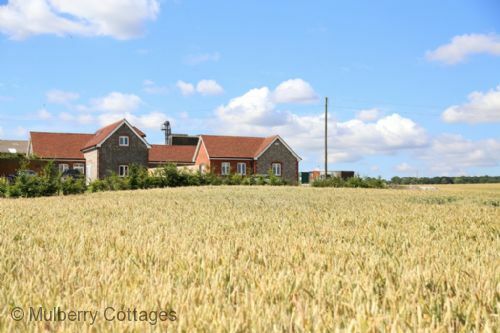 A wonderful and exclusive farm stay holiday cottage nestled in the countryside in Doddington, an area of outstanding natural beauty, with rolling fields, wildlife and charming village within close walking distance. This original flint cottage has been lovingly restored and is home to the intrepid travelling House Martins who frequent the cottage in the summer nesting in the eaves. 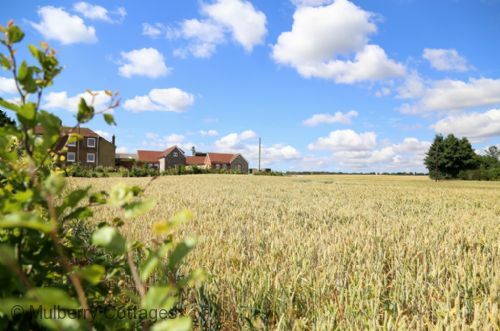 The rural location offers a spectacular stay upon a working arable farm and for those interested in seeing the diverse landscape, the scenes are ever changing from wonderful green fields in spring, to the harvest towards the end of summer. 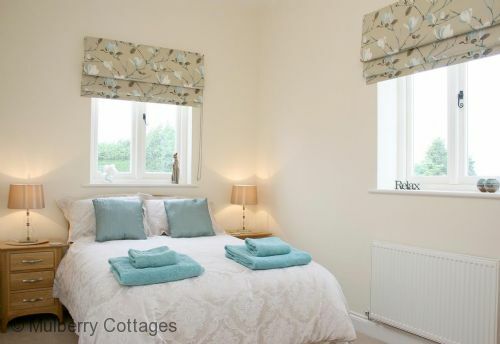 The cottage is a superb bolthole to escape the hustle and bustle, enjoy a stroll out along the country lanes, why not pop in for refreshment at the local pub before a short walk back to create a feast for the family in the wonderfully equipped kitchen. 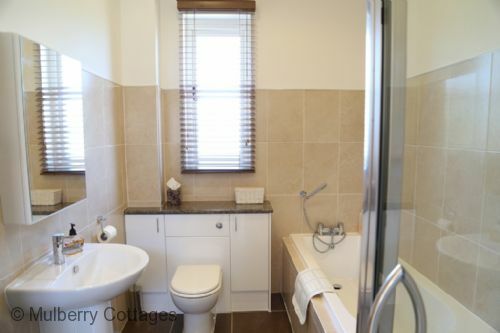 The owners have lovingly restored this cottage and have given it a contemporary boutique style. A warm welcome awaits guests with a basket of local produce to be enjoyed. Ideal for couples and families whatever the time of year; for those looking for a self-catering holiday cottage set in peaceful Kentish countryside. If you can bear to be pulled away from cottage, you could venture to the historic town of Faversham, passing by Macknade Fine Foods http://www.macknade.com/ for a delectable choice of food and drinks, take a day trip to the City of Canterbury or perhaps a day out shopping in Ashford's Outlet. The seaside is within 20 minutes and there is an abundance of beautiful heritage gardens and homes to wow! The cottage is ideal for couples and older families whatever the time of year for those looking for a special self-catering holiday cottage set in peaceful Kentish countryside. 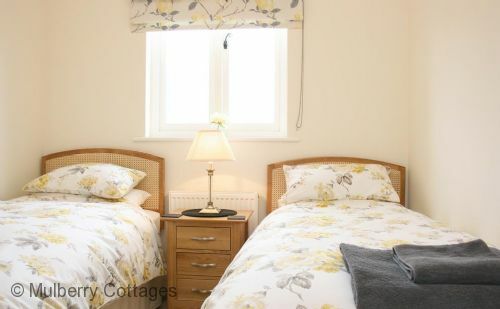 House Martin Cottage: sleeps 4, (all ground level) with 2 bedrooms in 1 double and 1 twin, 1 reception room, 1 bathroom. Wifi internet. Approached by a large sweeping driveway that leads to adjoining cottages. The main entry leads into an enclosed hallway with all rooms leading off. 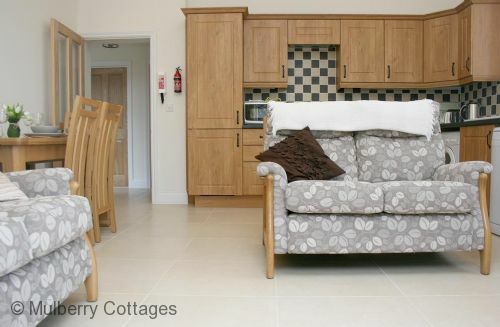 Sofa seating for 4 guests, TV / DVD, freeview, views of the countryside, French doors to the open communal patio. 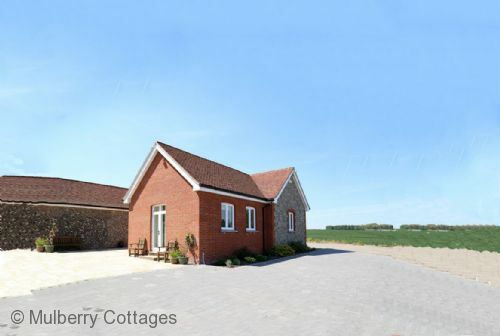 This luxury self catering holiday cottage in Kent is part of the Downcourt Farm guests are welcome to explore the farm and countryside, the owners will provide information to ensure guests enjoy their stay safely upon the working farm. Near to this holiday cottage in Kent there is an established circular walk through the elegant parkland and along a Victorian carriage drive. In the Spring the bluebell woods and blossom from the cherry orchards in Kent are a sight to see! Also near to this holiday cottage in Kent there are several pubs offering good pub food, the nearest of which is in Milstead, Kent. 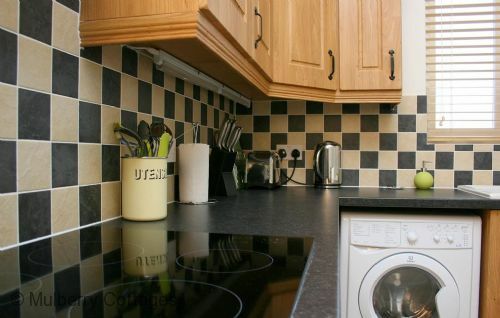 The county town of Maidstone in Kent is 15 miles away to the west with the historic cathedral city of Canterbury within 25 minutes from this holiday cottage in Kent. Access to the Channel Tunnel is at junction 12 of M20 and it can be reached in half an hour - crossings take 35 minutes. For day trips to London from your English holiday cottage in Kent, there is a regular service every half hour from Sittingbourne which takes about an hour. 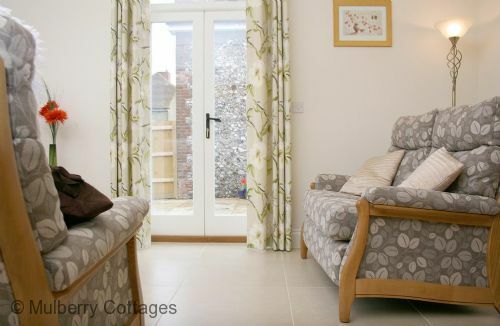 The North Kent coast is only a few miles away from this holiday cottage in Kent, where the reserves at Elmley and Oare offer some of the best bird watching to enjoy in the south-east of England, especially in winter. Further afield, this luxury holiday cottage in Kent is well placed for visits to Sissinghurst Castle and Gardens and many other National Trust properties in Kent and Sussex or even a vineyard for which Kent is becoming increasingly famous! Southeastern trains operate a service using high speed trains from Canterbury and Faversham (change at Ashford) to St Pancras International, Ebbsfleet International and Stratford. Trains run regularly with further departures from Ashford International, journey time to London is 45 minutes to an hour. 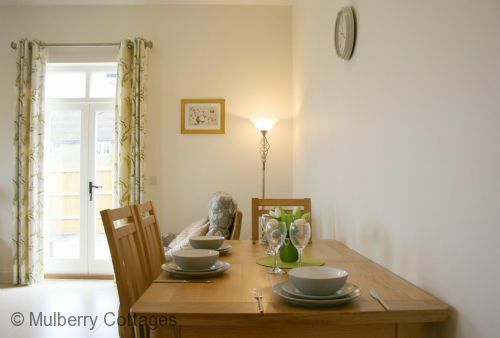 1st class accommodation, a real home from home, modern, good Wi-Fi and a lovely rural area. Very good. The welcome pack was a lovely idea. The cottage was fantastic and the hosts were brilliant - looking forward to staying there again. Pre-authorised deposit of £100 is required.